Schopenhauer is the easiest to listen to of German philosophers. This book gives a succinct explanation of his metaphysical system, concentrating on the original aspects of his thought, which inspired many artists and thinkers including Nietzsche, Wagner, Freud, and Wittgenstein. 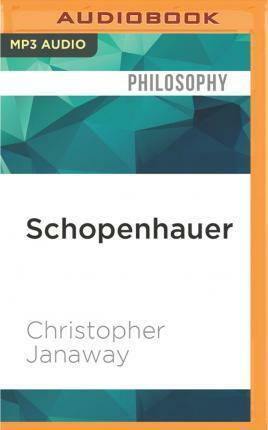 Schopenhauer's central notion is that of the will--a blind, irrational force that he uses to interpret both the human mind and the whole of nature. Seeing human behavior as that of a natural organism governed by the will to life, Schopenhauer developed radical insights concerning the unconscious and sexuality which influenced both psychologists and philosophers.